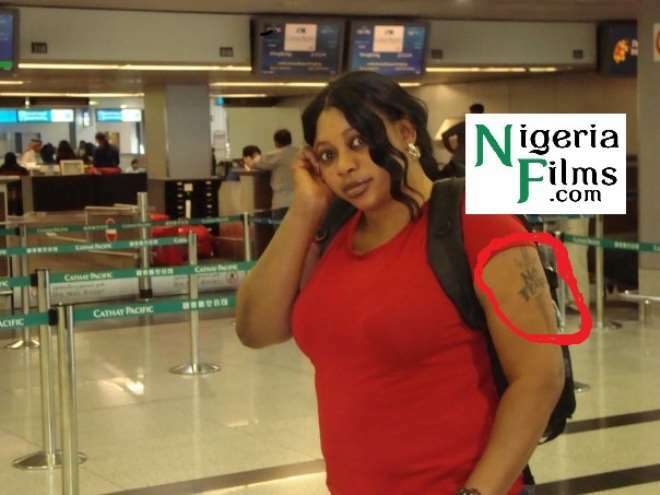 Shortly after she left Goriola Hassan, her first marriage and baby father, Ayo Adesanya, we gathered, tried all her best possible to do away with the big tattoo she had on her arm. The image is an inscription Goriola's alias.The first attempt to totally erase the image from her arm, Ayo confessed, wasn't palatable at all. “I recently had a surgery, it's fading off gradually but it's so painful. It gets swollen and too painful,” she said. It was painful when I first did it but removing it now is more painful. 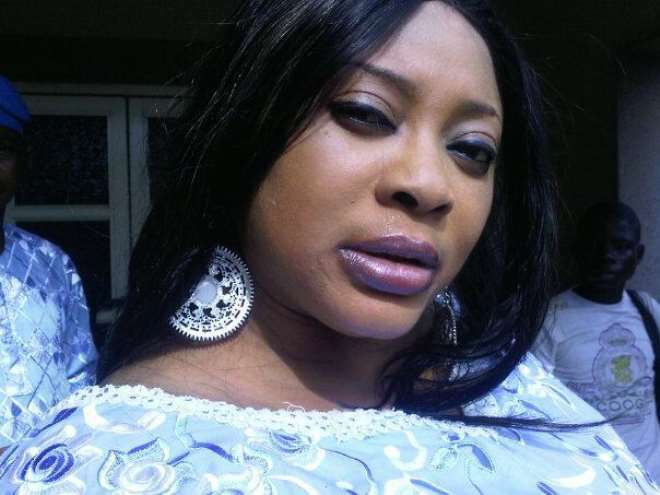 I'm supposed to go for another surgery soon,” Ayo said. On why she has to go through such pains removing what she did, she said then, she saw it as fashion, trend sort of but her perception about it changed totally when her pastor showed her a place in the Bible where God frowns at tattoos.